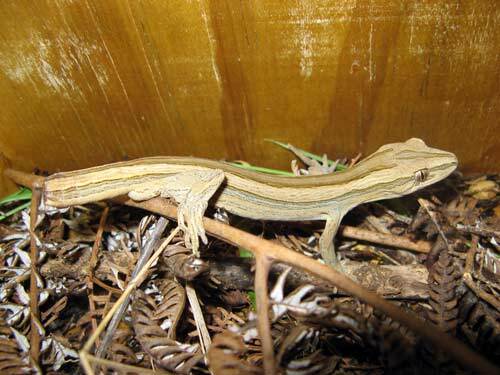 Only three Coromandel striped geckos have ever been found, all on the Coromandel Peninsula. This one, photographed in a backyard, has shed its tail. The first was discovered in 1997. Their closest relation is probably the Stephen’s Island striped gecko (Hoplodactylus stephensi). Despite efforts to locate more, none have been seen – suggesting the species may be on the brink of extinction. It is considered to be the world’s rarest gecko.